Workplace FIT brings the in-store Fleet Feet experience to your company for FREE! This includes a premium selection of running shoes in a range of width and sizes, professional service from our fit specialist team, important essentials including insoles & socks, and special on-site savings! We can also participate with your company's wellness program by providing free educational seminars and hands-on clinics, as well as participating in health and wellness fairs in the area. We would love to learn more about you and your company and how we can enhance your workplace wellness program. 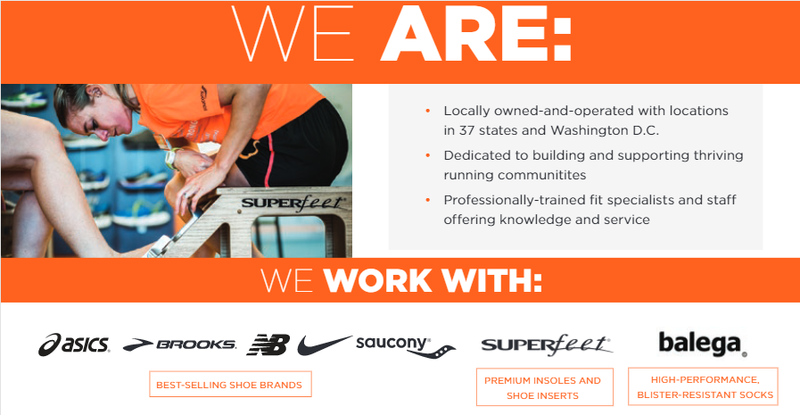 Please email emily@fleetfeetvacaville.com and we will be in touch within 3 business days.